The hectic schedules, strict deadlines to meet, anxiety, depression, overthinking, tensions, stress, many reasons can be listed down for sleepless nights. 16th March is celebrated as world sleep day, and no other day could be better than this to discuss and analyze your sleeping disorders. If you tell someone that you are not able to sleep properly at night or are an insomniac, they might look at you strangely. Many people have this question that, how can anyone not get sleep in the night? But ask the ones suffering from it, sending sleepless night is not an easy job. It not only ruins your night but also leaves you feeling sleepy and lethargic the next day. People suffering from insomnia often complain that they are mentally getting disturbed due to lack of sleep. But what is the worst? Getting no sleep or getting a broken sleep? There are two types of situation, one is you get only a few hours of sleep but a sound sleep, without waking up in between. And the second one is you sleep on time but in the middle of the night get up and start turning and tossing until you fall back asleep again. According to studies and science, the second situation of getting broken sleep is worse. An experiment was conducted on 62 healthy men and women who were good sleepers, by scientists of Johns Hopkins University School of Medicine in the USA. They compared the two types of sleep, one a short but peaceful sleep and second a disturbed sleep. The selected group was divided into three groups and they all spent three days and nights in a sleep lab. The first group was waked up forcefully during their sleep and were questioned just before they could sleep again, about their moods. The second group was asked to sleep late at night. And the third group was interrupted while sleeping. During this three day experiment, the scientists measured and recorded their sleep stages and compared the difference in every volunteer. According to the results of the first day, the mood ratings of the three groups differed. The second and the third group which had short and interrupted sleep respectively were both in an irritable state of mood. However, the conditions changed on the second day. The interrupted sleep volunteer continued to be grumpy and irritable, but the short sleepers showed improvement. They were 30% more relaxed. The study stated that the group who were having interrupted sleep were feeling lousy the other day and were also low on energy. So if you are having a lousy day and feeling drained out, it may be because of your broken or interrupted sleep the night before. 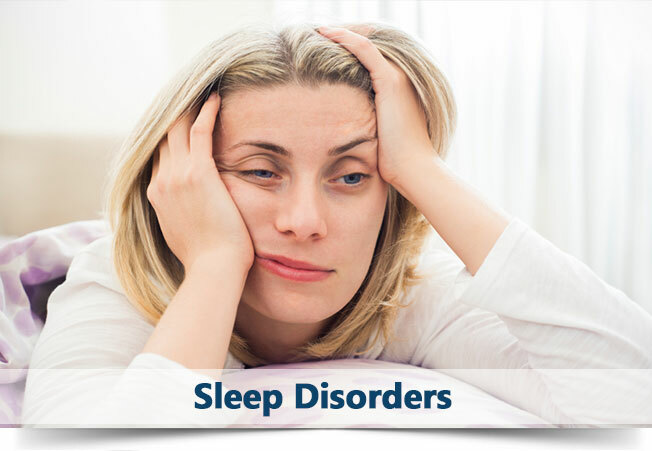 Sleep deprivation can literally lead you to many problems and diseases. One of the major thing that can be affected due to lack of sleep is your memory. Your brain does not function properly and you start forgetting things or have a difficult time in memorising tiny details like dates or what you had for dinner the previous day. Though these symptoms don’t pop up in just a week or so. But continued of less or broken sleep can be really dangerous for your health. You might even face emotional problems, difficulty in making any judgement and learning. Another effect that less sleep can have on you is drop in sperm count. Though this too does not happen immediately, but if you have been facing a hard time getting some decent sleep for long, it may affect your strength and sperm count. Next thing that can happen is an increase in your appetite. Lack of sleep affects the hormones, leptin and ghrelin, which regulate the appetite. So sleepless night may also result in losing the ability to judge if your stomach is full or empty and that ultimately leaves you wanting more food. The metabolism level drops. When you have not had the required amount of sleep, your body almost stops metabolising the food. Well, it does not just end here, there is more to it. Recently researchers have stated that even one night of interrupted sleep can lead you to have Alzheimer. Alzheimer’s disease is a progressive, devastating, neurodegenerative disorder. Some of the symptoms of the beginning of Alzheimer’s are emotional disbalance, anger burst outs, loss of language skills and it might also ultimately lead you to dementia. The study has shown that interrupted sleep leads to increase in levels of soluble beta amyloid. This is the protein that forms the sticky plates to kill brain cell and signal down processing of information. Accumulation of amyloid in brain tissue is the first sign of pre-clinical Alzheimer’s. And these symptoms happen way before any signs of dementia are even noticed. The waste products of brain metabolism that are created when you are not sleeping are only disposed of during your sleep. A review was conducted across 13 countries, including India, which stated the reasons for people not getting the minimum required amount of sleep. According to the data collected after the study, 61% suffered from lack of sleep due to medical issues, 5% due to irregular work hours, 49% because of irregular exercising, 42% as a result of unhealthy eating habits, 29% due to bad sleeping habits, 26% blame the technology for not being able to sleep and 26% complain of being insomniacs. Interesting in India 36% said it was the technology that hampered the sleep and 19% said irregular work hours. When surveyed about what happened, after a bad night’s sleep, it was found out that, 49% felt tired, 39% lacked concentration and 31% faced irritable mood. On this world sleep day, take out some time to analyze your daily routines and habits and find out the reason that is keeping you from having a good sleep at least for 7 hours daily, that too, uninterrupted sleep. As lack of sleep can lead you to depression, stress, cognitive dysfunction, weight gain, type 2 diabetes, alzheimer’s and many more. So sure sleep well and a no rd sign lll these diseases.